How many of you out there are actually manually prospecting and sending emails out on your own? When you do that, there’s basically no follow-up. Ideally, you should use an automated sequence, like an outbound autoresponder. 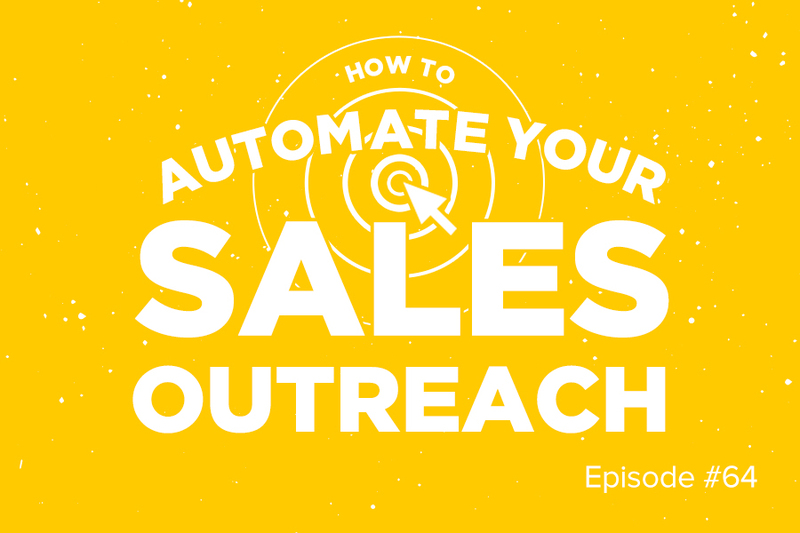 This was something I really wanted for my own business, and thankfully there are three tools out there that can help you automate your sales outreach. This tool allows me to use different templates within my sales outreach. I use it for sales, but also for people I want to interview on Growth Everywhere so I can keep following up until they respond or the sequence ends. This way, I don’t have to keep track of my own follow-ups, which is difficult. When someone responds, Outreach lets you know. You can also see the performance of each sequence and A/B test headlines. This tool lets you segment your outreach. If you have an analytics tool you want to pitch instead of Google Analytics, you can use Sendbloom to find out what type of tools a website has installed, so you can know if they’re a good prospect to pitch. This is pretty much like Outreach where it lets you send out messages in bulk and lets you know when people follow-up. For my preferences, Outreach is simpler. But I’ve heard the reverse from some of my peers, so it’s worth it to test both.